The country idyll is part romantic dream based on nostalgia and perhaps an innate sense of the rural past and part desire for cosseting comfort. Open fires, heavy drapes, eiderdowns on beds and sofas softened with plaid throws are part of a traditional melange of country living. It cannot be understated to say how rare an opportunity 1 & 2 Mount Brown Cottages offer to create this idyllic lifestyle. 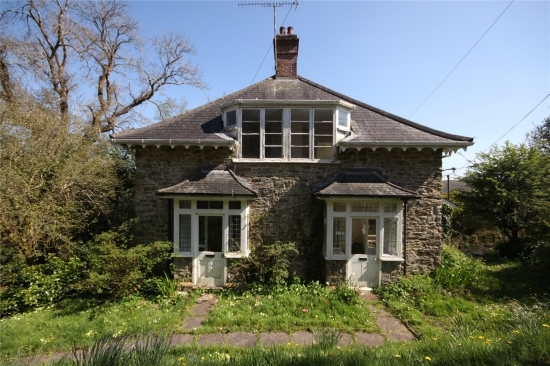 This pair of Victorian estate cottages ripe for modernisation and extension, subject to Planning Permission, are situated in one of the most outstanding rural yet accessible locations in the South Hams. Originally part of the Hazelwood Estate, created by the Peek Frean family, the cottages are stone built with charming architectural details, leaded light windows and sculptured eaves, which now require complete updating. Sitting in grounds of just over 3 acres, the properties enjoy majestic views over the first land the Woodland Trust acquired in the Avon Valley. It is a wonderful private setting, complete with a ruined folly. The outlook transports you to looking back in time rather than forward. This is a unique opportunity for buyers searching for a glorious setting and viewers will instantly recognise the enormous potential. There is electricity to the site but no other services at present. For further details or to make an appointment to attend the organised Open Days at 1 & 2 Mount Brown on Friday 21st July and Saturday 29th July 10am – 2pm, which will be sold by Informal Tender with a Guide Price of £500,000, please contact Marchand Petit’s Kingsbridge office on 01548 857588.